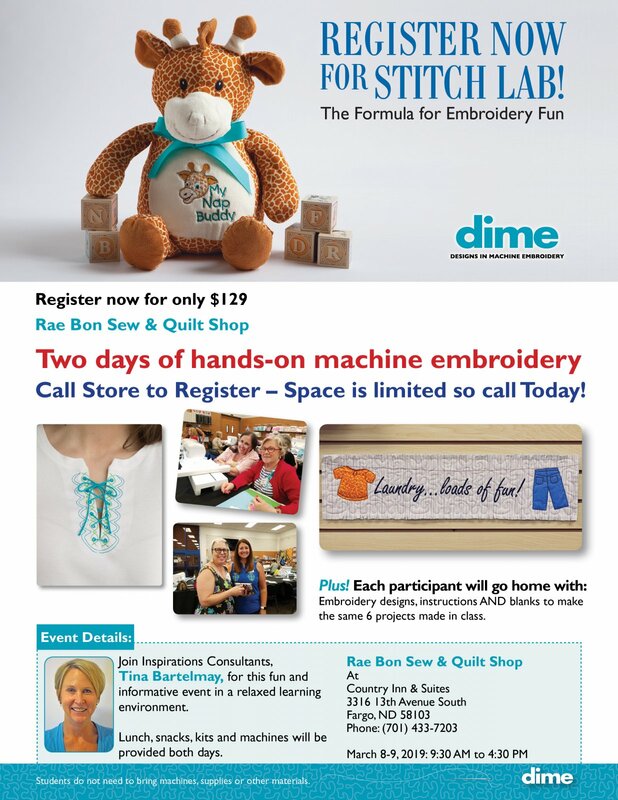 Stitch Lab by DIME is a hands-on two day class. You'll be learning, creating, and having fun alongside your classmates. Each participant will go home with embroidery designs, instructions, and blanks to make the same six projects made in class. Event will be held at Country Inn & Suites. Sure-fire placement for matching sets - no mistakes, guaranteed! Event fee includes lunch, kit, and machines.